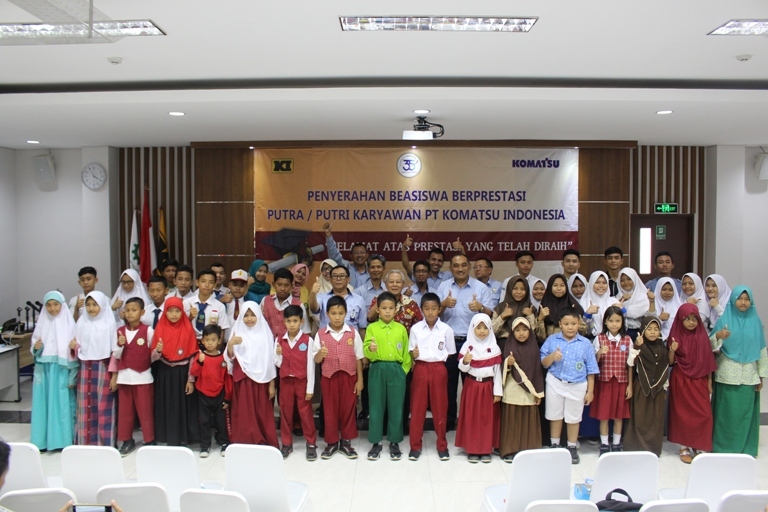 To enhance social activities that have been running since the company’s establishment, Komatsu Indonesia established a foundation called “Yayasan Komatsu Indonesia Peduli” in June 2006. The Yayasan works on external CSR that consists of three major activities: Community Development, Education Concern, and Humanity Aid. Concerning community development, Yayasan tries to support community by providing improvement in public facilities and economic empowerments. For education concern, Yayasan provides education aid programs such as education equipment aid and scholarships for university students. Last, Komatsu Indonesia also takes a part in humanity aid to strive its effort to help and provide national disaster victims on emergency relief program, recovery and rehabilitation program.